Paraclete Press (Brewster, Massachusetts, 2015). This interactive and creative book cube will entertain and inform toddlers and older children. 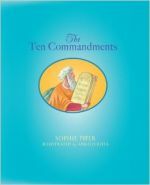 Little readers will learn the Ten Commandments by manipulating the sturdy folds and looking at the bright illustrations. Older children will be engaged by the hands-on experience and can even use the open-and-find folds of the cube as a way to quiz and remember God’s law handed down to Moses. Part toy, part biblical learning tool, this one is sure to be a favorite for busy hands. Ages 3-7. 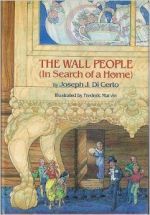 Eerdmans Books for Young Readers. (Grand Rapids, Michigan, 2015). 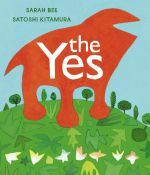 In this quirky story accompanied with equally interesting illustrations, a big Yes seeks out a Where to go. But Nos keep getting in the way, building obstacles and threatening the Yes with distractions. Yet with each step along the way, the Yes overcomes the loud and obstructive No’s and reaches his Where. Shy and overly cautious children will benefit from this unique book’s message of believing in yourself and ignoring the naysayers and inner “no.” Ages 4-8. Mountain Press Publishing Company. (Missoula, Montana, 2015). by Derek and John Paul George. Liguori Publications (Liguori, Missouri, 2015). John Paul George’s life is a refreshing story of endless love, faith and hope. Diagnosed with a debilitating and usually fatal heart condition, George has spent his entire young life fighting for survival. 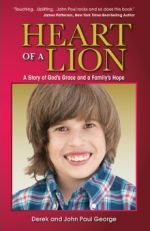 With the help of courageous parents and a remarkable faith, he has lived to share his story of endurance through the challenges of a fatal diagnosis, surgeries and everyday missed opportunities. Now, as a young man, he sees why God saved his life — to become a priest. Teenagers will find inspiration in this easy-to-read book about a challenging and meaningful life. In George’s words, “I can’t change who I am, but I can change the world as I am.” Ages 16 and up. Eerdmans Books for Young Readers (Grand Rapids, Michigan, 2015). There’s no time like the summertime for a refresher on American history. 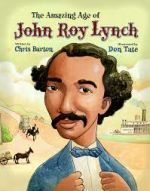 “The Amazing Age of John Roy Lynch” would make a nice addition along with a smilier book, “Henry’s Freedom Box” by Ellen Levine, to a lesson on slavery and the Reconstruction era. John Roy Lynch was a boy from Mississippi who fought for his own freedom and eventually the freedom of others as an elected state and House representative. He never lived to see a peaceful, unified nation, but during his lifetime he never stopped fighting for those goals. As illustrator Don Tate points out, the intentionally colorful and whimsical illustrations wonderfully accompany this story of a particularly cruel and dark part of American history. Ages 7-10. Boyds Mills Press (Honesdale, Pennsylvania, 2105). 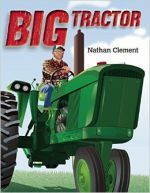 Author and illustrator Nathan Clement’s style of simple storytelling using high frequency words paired with brightly colored graphic illustrations will delight toddlers and beginner readers in this book about a tractor. In the story, a farmer revs up his tractor and prepares, plants and harvests crops throughout the seasons. And when it’s all done, there’s even time for fun on a hayride. Ages 2-5. Pauline Books and Media (Boston, 2014). Forgiveness is challenging for adults, let alone children. 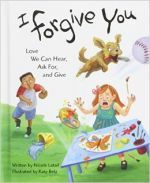 But by using descriptive rhymes and pictorial stories told with bright watercolor images, author Nicole Lataif and illustrator Katy Betz have succeeded in explaining the complex task of giving and receiving forgiveness in this Christopher Award-winning book. Readers will learn that forgiveness feels so much better than anger although it can be hard to achieve and take a long time. And, most importantly, God always forgives and loves us. Ages 4-7. Pauline Books and Media (Boston, 2015). In this bedtime story, a young boy and his mother reflect on the day’s events and blessings. They tell each other one opportunity that they missed to help someone, several things they enjoyed throughout the day and five moments for which to thank God. 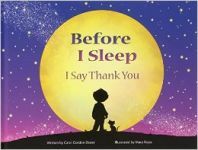 At the end, the young boy and his mother say, “Thank you, God, for all you have given us today.” The book is not just a nice story, but a good way for parents and children to pray together. Ages 4-7. Boyds Mills Press (Honesdale, Pennsylvania, 2015). Snuggle up with your little one and enjoy this sweet bedtime story. Rhythmic rhymes and soft watercolor images describe where different breeds of birds nest with their babies. 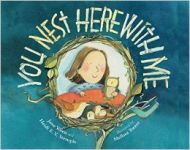 From mountain peaks to sandy beaches, mother birds stay with their chicks, and children will be reminded throughout the book that their home is wherever love is. Ages 3-6. Lordan, a mother of two, has master’s degrees in education and political science and is a former assistant international editor of Catholic News Service.